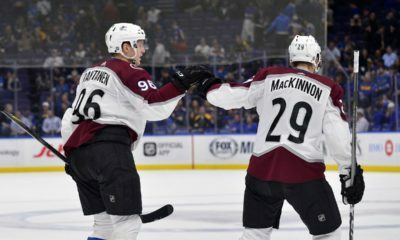 NHL Power Rankings: Lightning #1, but Who's #2? It seems like the same team as been on top for a lifetime, but the Tampa Bay Lightning have been that much better then everyone else. The question comes after that; who is number two? 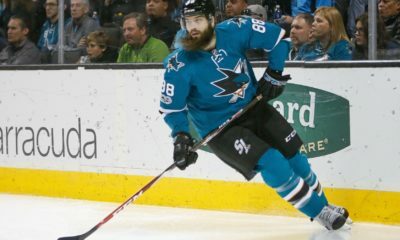 It seemed like the Los Angeles Kings, until they went on a skid. Then the Blues took over, but they lost winger Jaden Schwartz and have not been as good since. So who is behind the Lightning? Time to find out! The roller coaster season continues, as the Leafs went 0-3 with all three losses coming on the road against the Flyers, Wild and Red Wings. The Leafs got outscored 9-3 as they played all three games without top scorer Auston Matthews (26 points). The Leafs will hope to get Matthews back soon as they play three games starting at home against the Hurricanes before going back on the road to take on the Blue Jackets and Rangers. The Blue Jackets had a tough week, going 1-2 with an ugly 7-2 loss to the Oilers mixed in their. Goaltender Sergei Bobrovsky looked human this week, going 1-2 while allowing 13 goals in the process. The Blue Jackets will have a big week ahead of them, as they play four games against the Bruins, Maple Leafs, Penguins and Flyers. The Jets had a split 2-2 week with wins over Vancouver and St. Louis while losing to the Blues and Blackhawks. After getting plastered for five goals on 28 shots against the Blackhawks, Connor Hellebuyck against the bell by making 24 saves and shutting out the Blues to end the week. The Jets will play three road games this week against the Predators, Bruins and Islanders. The Devils had another solid week, going 2-1 with those two wins over the Kings and Stars. The Devils continue to do it in different ways from different players as Taylor Hall scored two goals in a 5-1 win over the Kings, then Brian Boyle scored two goals and assisted on one in a 5-2 win over the Stars. The Devils will have a nice three-game week with all three coming at home against the Ducks, Rangers and Blackhawks. Another very solid week for the Capitals, going 3-1 with wins over Colorado, Boston and Anaheim, and their lone loss coming on the road to the Islanders. After getting pulled against the Islanders, Braden Holtby answered the bell by giving up just seven goals in the three wins. The Capitals will be tested more this week, with three road games against the Stars, Coyotes and Golden Knights. Rough week for the Kings, going 0-3 against the Devils, Rangers and Islanders. After great goaltending to start the season, Jonathan Quick went 0-2 while giving up nine goals this week. The Kings will look to get back on the track with a three-game week against the Flyers, Avalanche, and Sharks. The Blues had a rough week, going 1-3 with losses to the Lightning, Ducks, and a split with the Jets. The loss of first line winger Jaden Schwartz paid dividends this week, as the Blues scored just three goals in the four games this week. The Blues will have to get it right on the road, as they play three road games against the Flames, Oilers and Canucks. This team is so consistent its unreal. 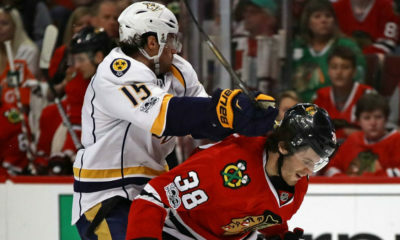 The Predators went 3-0 this week with three road wins over the Canucks, Oilers and Flames. The goaltending was off the chain, as Rinne and Saros gave up just one goal in the three games. The Predators will look to keep on rolling in a three-game week against the Jets, Hurricanes and Stars. There is nothing new to see here. 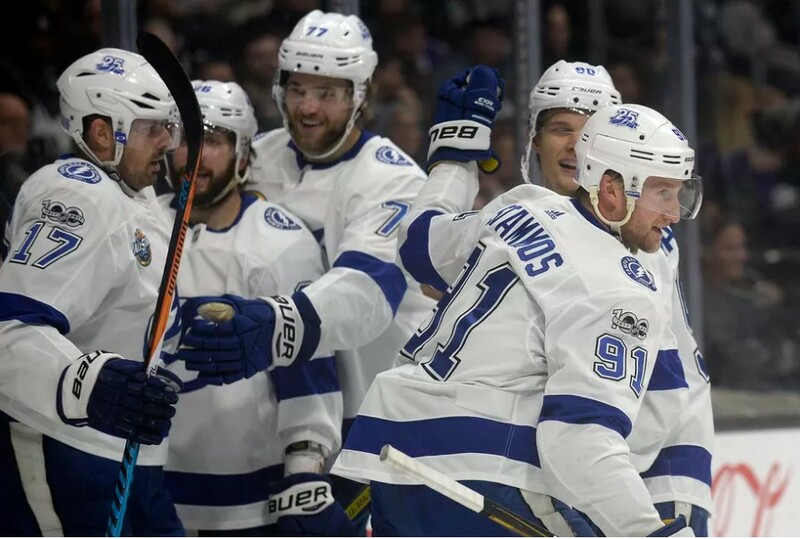 The Lightning went 3-0 and have now won seven-straight after beating the Blues, Coyotes and Avalanche on the road. Andrei Vasilevskiy continues to show why he is a true top goaltender, as he gave up just two goals in his two starts and wins this week. 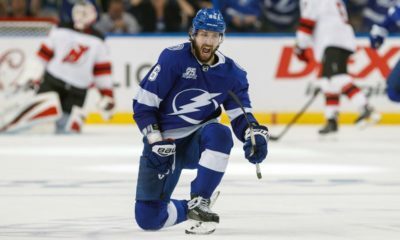 The Lightning will have three games this week against the Golden Knights, Senators and Wild.